Andhra Pradesh's Bangapalle get Geographical indication Mark after a long wait, waiting the owner of the variety that originates its kurnool district. 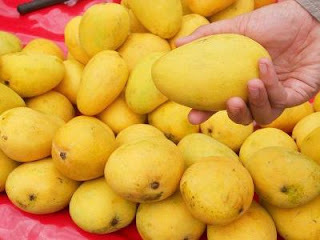 This varieties of this fruit is most preferred in Andhra Pradesh and Telangana. It also known as Beneshan, Baneshan, Benishan, Chappatai and Safeda. What is a GI tag. GI is covered under the Intellectual Property Rights and the Trade Related Aspects of Intellectual Property Rights. The tag helps farmers or manufacturers, as the case may be, to get a better price in the market. 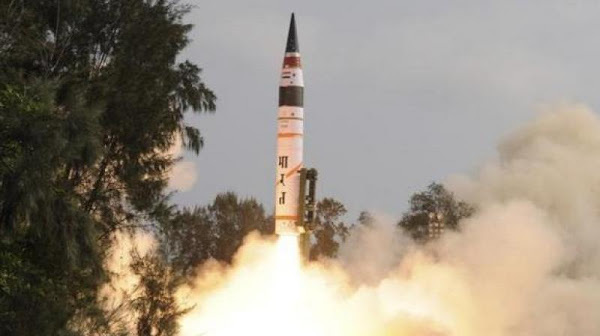 India has successfully carried out a fresh user trial of Advanced Agni-II ballistic missile from a defence test facility in the Abdul Kalam Island off the coast of Odisha. The objective of the test was to re-establish the operational effectiveness of the weapon system. This was intermediate range surface-to-surface ballistic trial of the missile. The success of the test is significant as Agni-II is considered one of the key weapon systems of India's nuclear deterrence programme. The 2,000-km plus range nuclear-capable missile was lifted from the Launch Complex IV. After initial failures, India had in 2010 successfully test-fired Agni-II. The success was repeated in 2014 and in succeeding test-firing exercises. Developed as part of medium and long range Agni series of missile systems, - Agni-II has already been inducted into the Armed Forces. It is a two-stage solid propelled system and equipped with a special navigation system to achieve high degree of accuracy. The missile weighs 17 tonnes and its range can be increased to 3,000 km by reducing the payload. It can be fired from both rail and road mobile launchers. It takes only 15 minutes for the missile to be readied for firing. In Swatch Sarvekshan 2017, Indore get 1st rank in India, the survey says. And Gonda in UP is the dirtiest one. There was 434 cities in the survey. Vijyavada becomes the International Airport. The Union Cabinet has granted international airport status for the Vijayawada Airport. The approval was given as per provisions of Andhra Pradesh Reorganisation Act, 2014. The decision was taken as the airport is witnessing significant growth in passenger traffic and also to cater to the demands made by airlines as well as the Andhra Pradesh government. The airport is currently undergoing infrastructural upgradations and improvement in facilities for international operations. The upgradation works are being carried out by the Airports Authority of India.